For jurisdictions following the Upjohn subject-matter test, the corporate attorney–client privilege protects an employee’s communications with corporate counsel so long as the communications are confidential and made for purposes of rendering legal advice. One question arises whether the privilege extends to corporate communications with outside consultants. The USDC for the Northern District of California recently encountered an interesting privilege situation involving Bill Campbell, the Board Chairman for Intuit, Inc. who simultaneously served in several roles with Google, Apple, and other technology-based companies. Prior to 2007, Campbell served, while Intuit chairman and without a Google contract, as an advisor to Google’s management team and Board of Directors. In 2007, Campbell entered an agreement with Google that made him a part-time Google employee. In In re High–Tech Employee Antitrust Litigation, 2013 WL 772668 (N.D. Cal. Feb. 28, 2013), the Court had to determine whether Campbell’s email communications with Google employees—most often sent through his Intuit email address—were protected by the corporate attorney–client privilege. Questions regarding Campbell’s role prior to 2007, when he had no formal agreement with Google, complicated the analysis. The Court followed the leading functional-equivalent-employee cases of U.S. v. Graf, 610 F.3d 1148 (9th Cir. 2011) and In re Bieter, 16 F.3d 929 (8th Cir. 1994). These cases held that there is no legitimate reason to distinguish between a company’s employee and its consultant for attorney–client privilege purposes, and that the privilege extends to consultants who are “in all relevant respects the functional equivalent of an employee.” The Court must examine the consultant’s role and determine whether he was the primary agent who communicated with counsel, whether he acted as a corporate agent in a significant capacity, whether he managed employees, or had substantial input into the development of the litigation-related issues. But because of Campbell’s roles with Apple, Intuit, and other companies, the Court stopped short of issuing a blanket privilege protection for all of Campbell’s email communications. 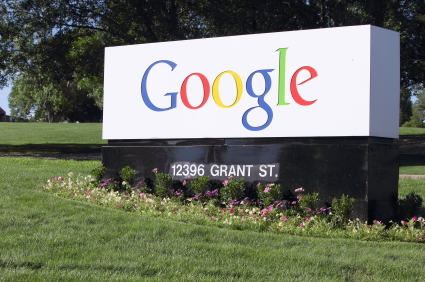 Google still had to prove that the communications otherwise fell within the corporate attorney–client privilege, meaning it had to further prove the email communications were to Google in-house or outside counsel, were intended to be, and actually were, confidential, and were for purposes of Google’s counsel rendering legal advice.